Zuckerberg, Larry and Sergey, Jeff Bezos, Reid Hoffman, Elon Musk.. these are all names you have heard of because when one of these founders lets out as much as a whisper every media outlet under the sun is sitting and waiting to be the first to release their message out in to the world.. But what about the other Billion or so active apps and sites ? Who runs them? And what do THEY have to say that maybe we can learn from? 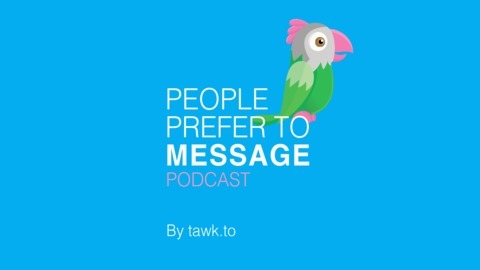 Hosted by Robert D'Assisi, the founder of tawk.to (https://www.talk.to), the new "People prefer to Message" podcast gives a voice to the founders and business owners that are active on the tawk.to network, sharing lessons and stories that you wouldn’t otherwise get the chance to hear, and that probably hail from places you may not of even heard of. 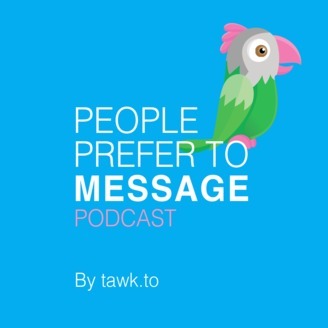 People Prefer to Message is a new podcast in which tawk.to Founder Robert D'Assisi chats with Founders & Business owners of entities large and small, about business success, struggles and everything in between.